In 2006-2007, my freshman year of high school, I was on a FIRST LEGO League (FLL) team. FLL is a competition where students build robots out of LEGOs to solve challenges and compete against other robots. Because both of my parents are actors, I was also heavily involved in theater, as was my FLL teammate Colleen. We bonded over this similarity and became good friends, keeping each other informed about our theatrical endeavors and going to see each other’s shows. In May 2007, Colleen told me that was playing one of the three spirits in The Magic Flute and suggested I come see the show. Being unfamiliar with the magic of student tickets, I convinced my parents to pay a hefty sum of money to get me a full-priced orchestra ticket. (My parents came along too, but sat in the balcony.) I had no clue what to expect. Like most people, I was vaguely familiar with some of Mozart’s music, but I had never seen or listened to an opera before. The program summary was confusing and illogical: What was with all these magic objects? Why could they miraculously solve some problems but not others? (Or were the characters just too stupid to use them?) What made the Queen of the Night the villain? Why would someone put a scene about being silent in an opera? I was pondering these questions (which continue to confound me–see Operagasmic’s parody libretto for a humorous exploration of them) when the overture began. My parents, fairly seasoned opera-goers, were not impressed by the production. They found the staging static and the Masonic symbolism heavy-handed. 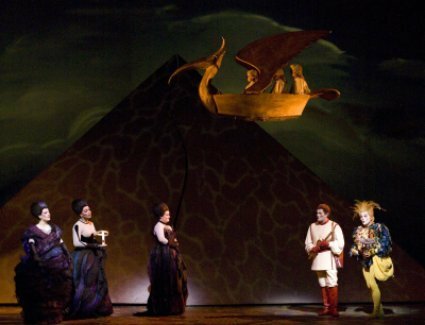 As a newcomer overwhelmed by my first operatic experience, I couldn’t understand their reservations. Whatever I had just experienced was the height of perfection. I made my enthusiasm pretty clear to my parents, who were surprised but supportive. My mother dug through her old CD drawers and handed me every opera CD there–a complete recording of La Bohème, a Puccini highlights CD, and a Verdi highlights CD. Those made up the entirety of my music listening for several months and inspired some very ill-advised attempts at singing along. (Unaware of the intense training required for operatic singing, I went to my high school choir teacher begging for the music to “Pace, mio Dio” and “Stride la vampa.” She claimed not to have it or know where to acquire it, but it was probably simply out of fear for my voice, should I attempt that repertoire at my young age with no voice teacher.) I made it a priority to attend more operas and brought a group of ten Hugo-obsessed friends to Portland Opera’s Rigoletto. I inspired a few more opera converts on that trip. When I left home to go to college, my opera-going really took off. Free from curfews and family schedules, I began attending 10-20 operas every year and encouraging fellow students who were unfamiliar with the medium to join me. I also began seriously studying operatic singing with a voice teacher and learning Italian, German, and French. 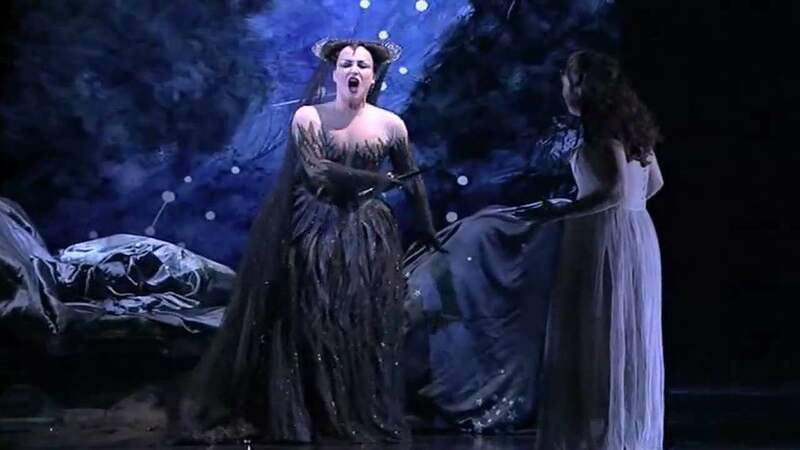 Today, I am opera fanatic, tweeting about singers and shows, writing for opera magazines and blogs, attending and reviewing as many productions as I can squeeze into my schedule, and singing every day to prepare for upcoming auditions. It’s crazy, but I wouldn’t have it any other way.